Personal Bankruptcy Petitions Drop in March | The Law Office of Emil Fleysher, P.A. Personal Bankruptcy Petitions Drop in March | The Law Office of Emil Fleysher, P.A. The tri county area has had significant decrease in bankruptcy petitions during March 2015. Personal bankruptcy filings have dropped 16 percent between February and March throughout South Florida. This is according to the Sun Sentinel with data that was released in Miami by the U.S. Bankruptcy Court. There were 2,389 new bankruptcy petitions filed by South Florida residents in February but only 2,008 files in March. 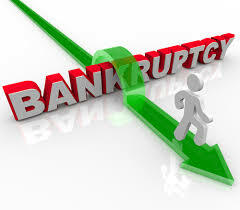 Personal bankruptcies have lowered by 32 percent, dropping from the 2,969 filed in March 2010. This drop shows that consumers are handling their finances better than they did a year ago. The tri-counties in South Florida show a decrease in bankruptcy filings. In lead with the most petitions is Miami-Dade County with 979, followed by Broward County with 680, and finally Palm Beach County with one 349 petitions. The Associated Press reports that the drop in bankruptcy petitions may be the result of home foreclosure cases that have been stalled in South Florida courts. According to the news source, foreclosure courts were established across the state last year to prevent those hearings from overwhelming the regular circuit court system.